LEGO Dimensions is no more, with the companies involved deciding not to expand the series any more. The current packs, both starters and expansions, will continue to be supported, but no new expansions will be produced. 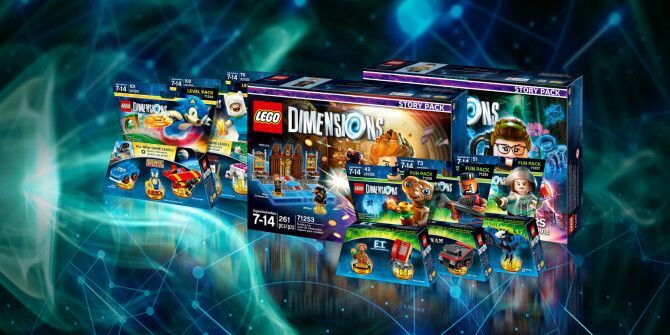 This means LEGO Dimensions fans are stuck with what they’ve got. For the uninitiated, LEGO Dimensions is an infinitely expandable video game featuring characters and worlds from a number of famous franchises. You buy a Starter Pack LEGO Dimensions Starter Pack Review and Giveaway LEGO Dimensions Starter Pack Review and Giveaway When downloadable content first became a thing, it seemed like we'd all move to the digital model and the physical gaming purchases would disappear. Instead, we're buying downloadable content with plastic toys. Read More , and can then buy expansion packs complete with minifigs which add new characters, missions, buildings, vehicles, and more. This is a kick in the teeth for fans of LEGO Dimensions, who will have built up quite a collection at this point. However, it looks as though there just wasn’t enough interest in the myriad of weird and wonderful expansion packs Bored With Lego Dimensions? Time to Look at Expansion Packs! Bored With Lego Dimensions? Time to Look at Expansion Packs! LEGO Dimensions is an amazing games with lots of variety! Find out how you can add even more with the game's many expansion packs. Read More to justify carrying on. Still, at least it outlived Disney Infinity. All good things must come to an end, and LEGO Dimensions is no exception. Still, with Warner Bros. et al promising to provide support for the foreseeable future, there’s no need to abandon LEGO Dimensions quite yet. It just means you have no new expansion packs to look forward to playing. Do you or your kids play LEGO Dimensions? If so, how do you feel about the decision to stop working on new expansions? Are you likely to carry on playing with the titles you have? Or are you likely to look around for something new? Please let us know in the comments below! Me & my son will carry on playing with the packs that we have & as we have not yet got all the fun packs & figures etc we will continue to collect (if reasonably priced new or second-hand).